At five years old and two-and-a-half years old respectively, me and my sister loved watching ‘Minipops’ on TV. 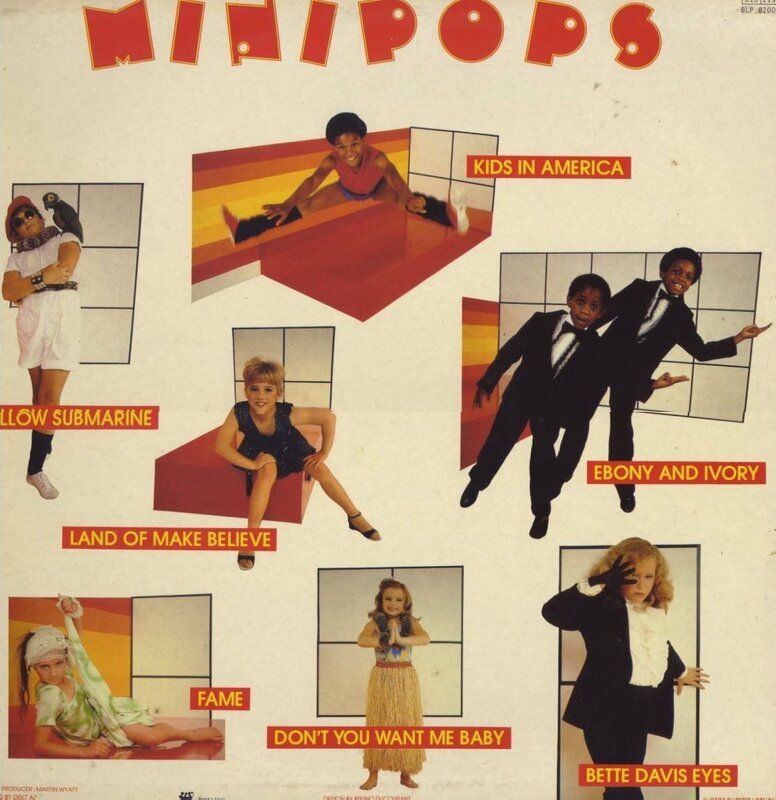 We also had the ‘We’re The Minipops’ album on vinyl and would continually listen and dance to Minipops representations of pop songs, such as ‘Kids In America’, ‘Ebony & Ivory’ and ‘Land Of Make Believe’. Am I painting a picture that is familiar to you? 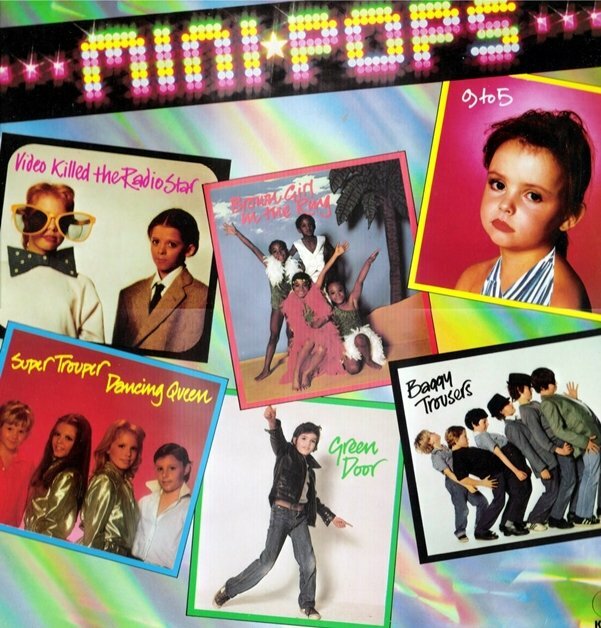 Minipops was a television series broadcast in 1983 on Channel 4. Designed for younger viewers, it consisted of music performances on a brightly coloured set featuring children singing (what was at the time) pop hits, and also some older classics. The children were usually made to look like the original performers, wearing similar clothing and makeup. Then suddenly it disappeared, and without the internet to find out why, we were left confused and disappointed that this show we loved had suddenly been taken away from us. I even remember my mum writing a letter to Channel 4 asking why it had been taken off our screens and please could they bring it back! 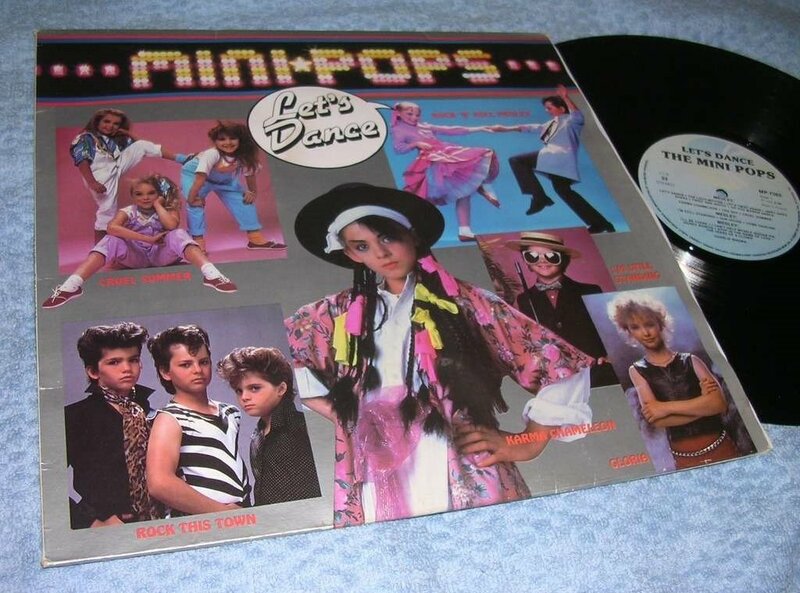 Minipops was the brainchild of Martin Wyatt, who created a new child group from London called ‘The MiniPops’ and released an album in 1982 which reached the top 30 in the UK and Europe. 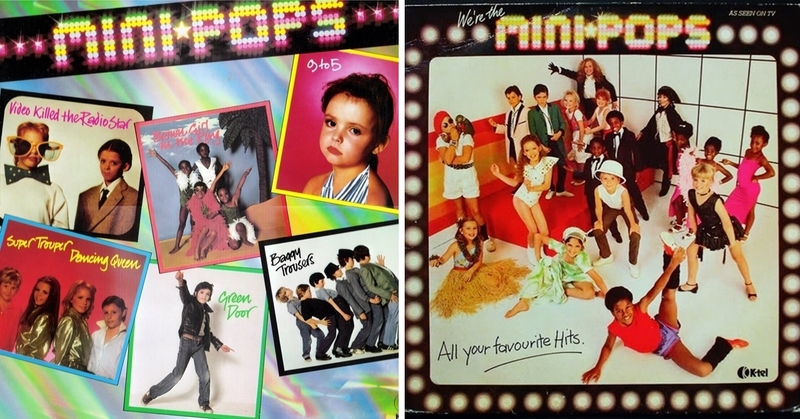 Head of Entertainment at Channel 4, Cecil Korer, and record producer Mike Mansfield, embraced the idea of producing a TV show around the MiniPops, as Korer believed it would boost and broaden the group’s audience appeal. On 4th July 1982, thousands of amateur child performers from across Britain descended on a London theatre for the audition, in a search to find additional children to sing and star in the television show along with the original five members of the group. Though the series was a success for Channel 4, gaining 2 million viewers, little thought was given to the ethics of child performers singing songs originally written for older artists, and dressing and dancing in a provocative style, often influenced by the original performance. Whilst embraced by children such as myself who loved the idea of ordinary children singing and dancing along to great pop tunes, the show sat uneasily with some adults. This was particularly apparent with a performance from five-year-old Joanna Fisher, who covered the Sheena Easton song ‘9 to 5’ in nightclothes, singing the lyrics ‘night time is the right time, we make love’. The sad truth is that this controversy over children singing songs that often contained a subtext of adult content, whilst dressed in adult costumes and makeup, was the major factor that led to the show’s cancellation after one season. In hindsight this is understandable, but for the children such as myself that enjoyed the show, it was sad to see it end for a reason that we had no way of understanding, even if we had known. 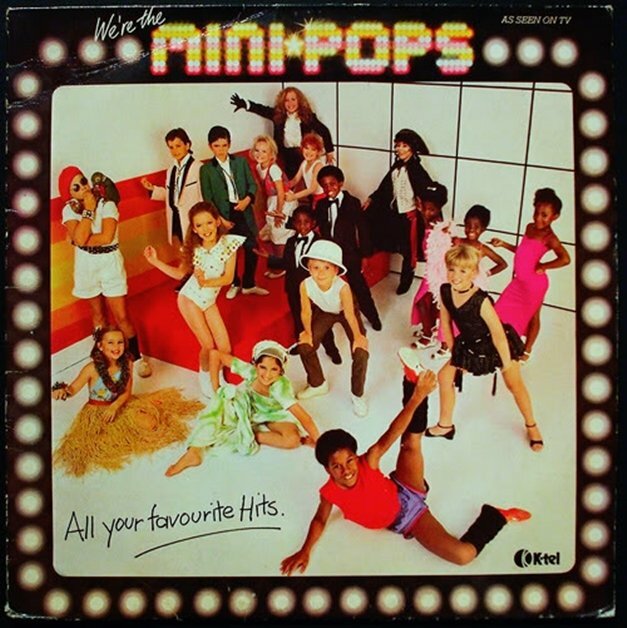 So thanks Minipops, because you remind us of our innocent childhoods, and you taught a 5 year old lad that it was ok and fun to sing and dance.